The Knights of the Round Table were characters in the legends about King Arthur. They were the best knights in King Arthur's kingdom, and lived in King Arthur's castle, Camelot. They were called the Knights of the Round Table because of a special table that was in Camelot, that was round instead of rectangular. This meant that everyone who sat around it was seen as trustworthy and equal. 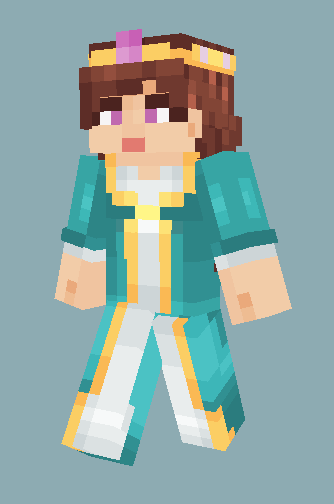 Download the .zip file and find the skin file (64 x 64 template) you want. 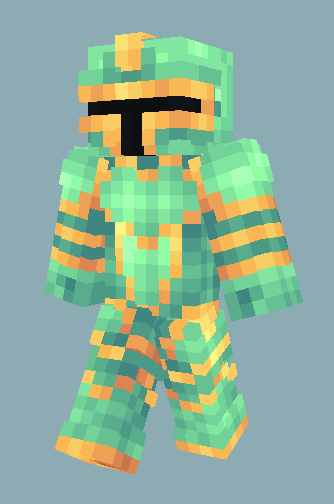 For Minecraft Java, upload that skin file to your Minecraft profile. For Minecraft Win. 10 edition, browse for the skin file by clicking 'Choose New Skin' in your game menu. 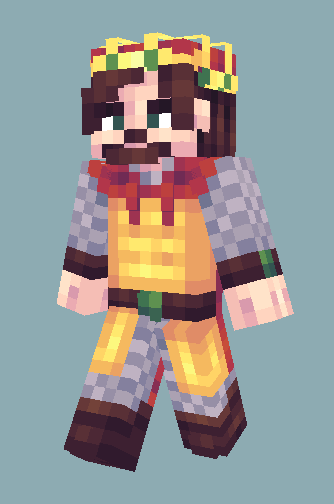 The skin pack of has a King, Queen, 7 Knights of the Round Table, a warlock, a witch, a dragon and two evil knights! 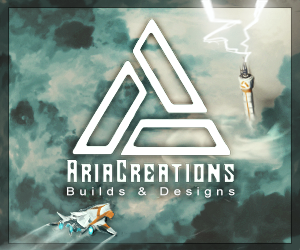 That brings us to a total of 14 free skins for you to use! King by Chabilulu and Queen by BowManOfJustice. Join the team? Find out how at this link! 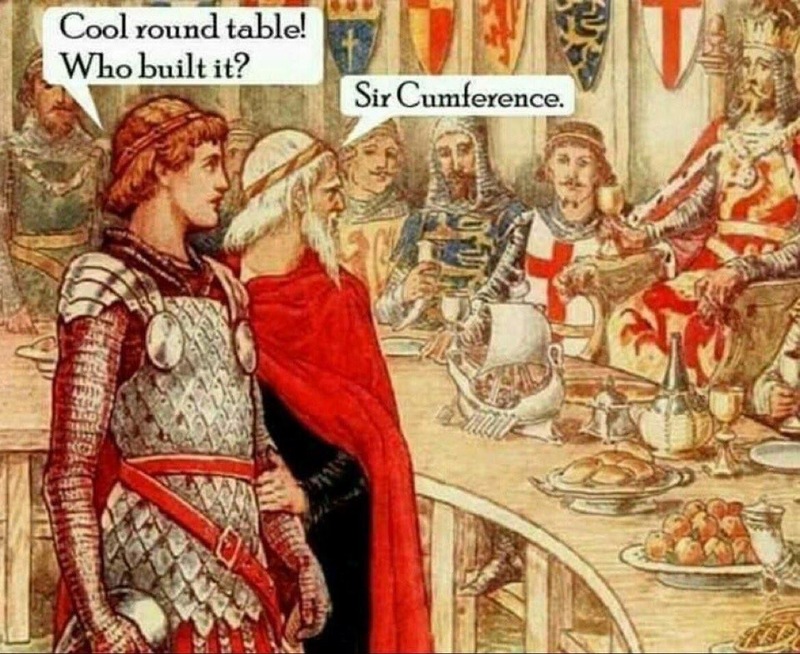 Would you be a honorable knight of the round table? Or will you be their enemy instead? Let us know in the comments! 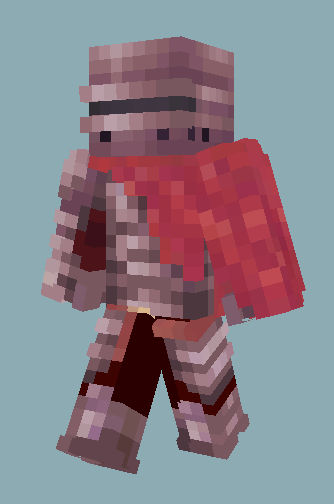 I love the variety in knights and their different armor. 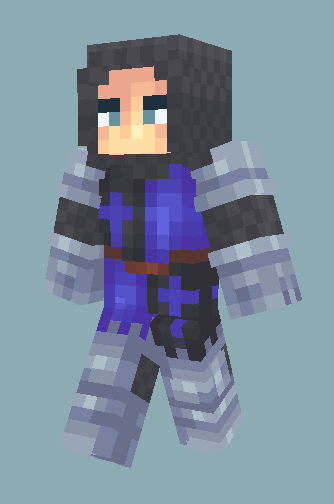 And the glowing eyes on the purple evil knight just look LIT! 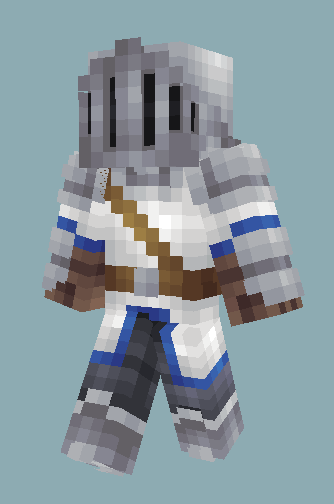 Glad you like them :D everyone designed their own knight based on some colors given. I like that they're all unique too, makes the pack very vibrant. An Ender Dragon fight in images! CWC S3R2: A thousand words.